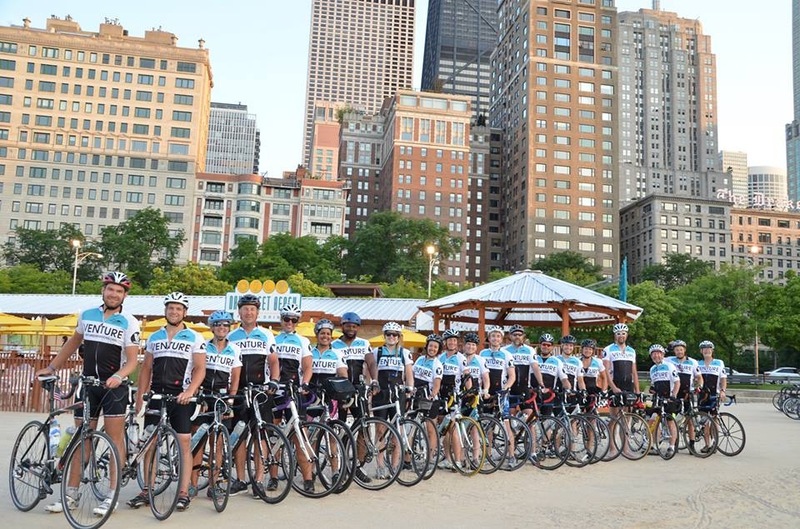 This July, I will be biking with a team of 19 other people from Minneapolis to Chicago. We are partnering with Venture Expeditions to raise awareness and support for the work that they do with refugees along the Thai Burmese border. Venture loves to creatively empower people to engage in physical sacrifice in community with Christ for Biblical Justice! Needless to say, there will be a bit of prep work to be done before this tour. I bought my first road bike last fall 3 days before my first full triathlon, knowing I was going to do this Midwest Tour this coming summer. The hybrid bike I won in 8th grade for having missed the least number of days of school out of any student in my grade (my mom, a single mom most of my childhood, did not believe I ever had an illness...yes, I still need therapy for this) was not going to get me from Minneapolis to Chicago at the speed I wanted to go. So, 20 years later I decided I could afford to buy my first bike. And that Tri... I trained for it for 4 weeks (I do not recommend this...ever). It was a short course, not to be confused with a sprint course. The typical sprint course ends with a 5K run. This short course ended with a 5 MILE run (after biking the last mile of an 18 mile course up a steep long hill). Let's just say I walked most (okay...all) of those 5 miles. When I finished the predicted hour after my boss, his daughter asked me when I was going to do another one. I chose not to respond with words knowing nothing positive was going to come out of my mouth at that moment. So instead of doing a Tri mid-summer this year, why not bike from Minneapolis to Chicago? I mean, it's just biking right? That's the rationale that gets me to do most things in life, no lie. Since March, I have taken up riding my bike, a lot. And recently I have realized that I'm good for about the first hour and then I just tank. I can be cruising along at 17 mph and suddenly it's like I literally have no energy left and need to take a break, much to my training partner's dismay. And I mean, I also can't help it if we come across a super cute bridge and need to stop and get a pic (I genuinely love bridges and pictures of bridges, and I also love how my legs feel after even a 3 minute stop). Knowing that I will be riding an average of 80-90 miles a day for 6 straight days forced me to start asking questions about how in the world I would have energy for hours on hours of cycling. Let's face it, my average time working out going into this spring is about an hour, so I know nothing about the energy needed for endurance sports. This has led to a recent surge in reading up on calorie intake for endurance sports. The gist of what I discovered was that for an hour of riding we burn an average of 600-800 calories (you can get way more precise if you take into account your weight, watts, age, etc., but this estimate is pretty accurate for most people). However, you can't refuel that many calories while riding your bike. You can try, but pretty much your body just wont process it quickly enough without giving you a gut ache, nor will it be efficient. So, it is recommended that every 45 minutes you consume 250-300 calories (again, you can get more specific if you want to do the math). So, of course, I will just say 275 calories every 45 minutes. And since trying this approach, I can't tell you what a difference it has made. Event Nutrition: How many granola bars? Here's to being active for more than 60 minutes at a time!